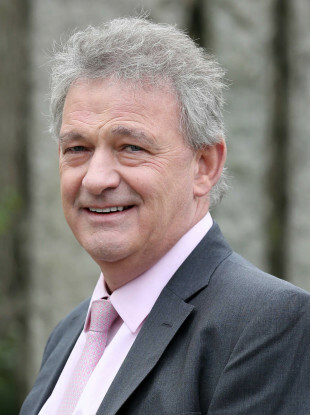 FORMER DRAGONS’ DEN star Peter Casey is now officially a candidate in the 2018 presidential election after receiving his fourth nomination from a council. This afternoon, Limerick City and County Council and Tipperary COuncil gave their backing to the Donegal businessman. The 60-year-old had already received endorsements from Kerry and Clare County Councils. In Limerick, the ex-CEO of Claddagh Resources received 21 votes, while eight other Limerick councillors voted for journalist Gemma O’Doherty. There were eight abstentions. Casey was nominated by Deputy Mayor of Limerick, Michael Collins and seconded by Fine Gael. Casey is now one of at least six names on the ballot paper on 26 October when the country votes in its next president. He’ll be joining the incumbent Michael D Higgins, Sinn Féin’s selected candidate Liadh Ní Riada, Senator Joan Freeman and Casey’s former television colleagues Seán Gallagher and Gavin Duffy. “I am absolutely delighted to have been nominated by Limerick County Council. We are well on our way to getting on the ballot paper and the campaign can begin,” he said after securing his third nomination. We were very late getting into this race but we have built up a momentum amongst the people and I look forward to promoting my vision of using the Presidency in a more active way for the good of the country. A special thanks to all the councillors who have nominated me as their candidate, I am humbled and honoured by their support. I will work hard to make sure I justify the confidence that is entrusted in me. The businessman, who recently stepped down as CEO of Claddagh Resources, is “proposing a more purposeful Presidency” according to his statement. Under the campaign banner, Small Country; Big Nation, Casey plans to leverage the economic and social resource represented by Ireland’s extensive diaspora. “As someone who grew up in Derry, walked as a young man on the Bloody Sunday March, I have been a tireless promoter of Ireland all around the globe,” he said. He said believes the role of President can bring about much-needed social and economic change, at a practical level, rather than being purely symbolic. Nominations must be submitted by 26 September – Wednesday of next week – and the election will be held on 26 October. A number of councils are still yet to vote on who they will nominate (or if they will endorse anyone). Speaking at the National Ploughing Championships earlier today, Higgins said he was “looking forward to” the campaign. However, he refused to be drawn on whether he would take part in any debates with other potential candidates before polling day. “All of that has to be settled of course,” Higgins said when asked by TheJournal.ie. Email “Peter Casey is on the presidential election ballot paper as he receives 4th council nomination”. Feedback on “Peter Casey is on the presidential election ballot paper as he receives 4th council nomination”.